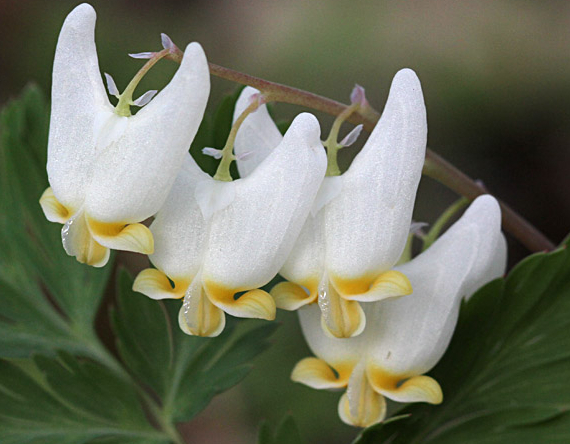 From the Isabella Conservation District Blog: The flowers of Dutchman's Breeches are suspended above the leaves on a long stalk. Each stalk may support several flowers. 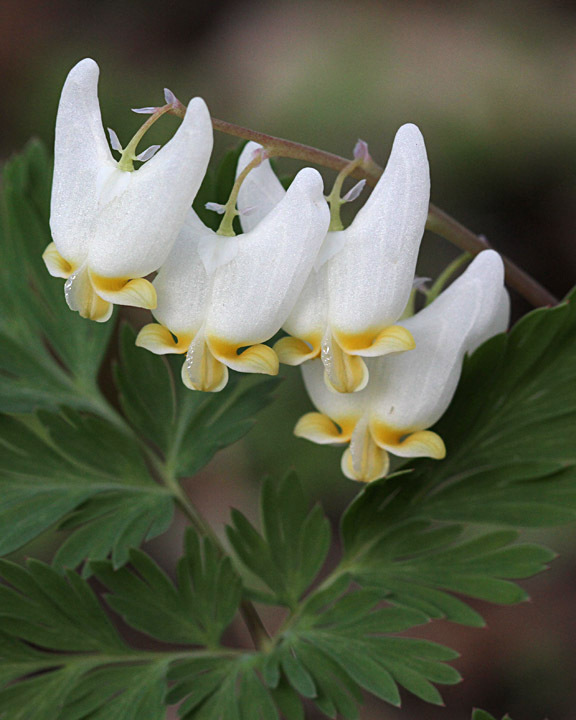 The twin-spurred white and yellow flowers resemble pairs of pantaloons hanging by their legs, hence the name Dutchman's Breeches. Each flower stalk may rise to a total height of 4 to 12 inches. The flowers are pollinated mainly by bumble bees. Dutchman's Breeches are one of several spring ephemeral wildflowers that bloom while the canopy is open in the woods near our home. I love the name, how they look, and that they are another signal of spring's progress. Today I knit the first of five. Eventually, they'll hang in their not-so-ephemeral row. Ah! I somehow missed your comment, Michelle. Glad to have found it. Thank you, I am surprised that I caught on to knitting, after it not making any sense to me. 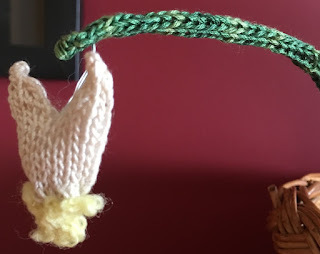 You've got so much knitting experience, I bet you could do anything.